Wild horses have been a part of the Canadian west for hundreds of years. 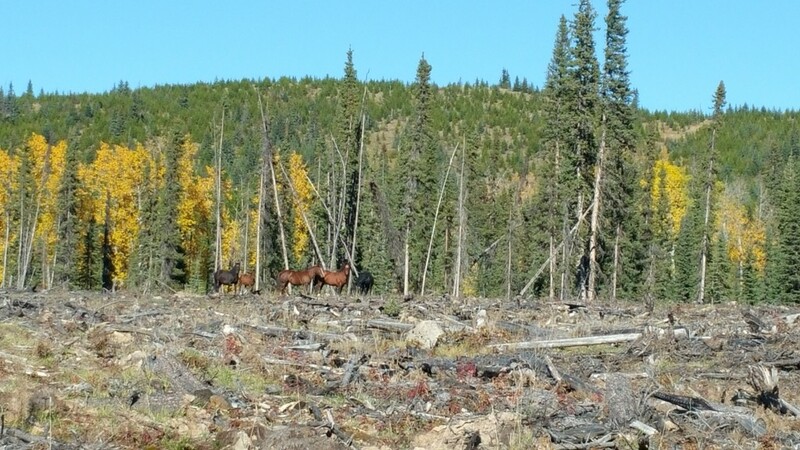 There are currently wild horses living in the Chilcotin region of British Columbia and parts of Saskatchewan, including a population of protected wild horses in the Bronson Forest. There are also approximately 900 wild horses in Alberta spread out over thousands of square kilometres of terrain in the Rocky mountain foothills. In the 1990s, a population of approximately 1200 wild horses also lived on Canadian Forces Base Suffield near Medicine Hat. Unfortunately, despite a concerted effort by Zoocheck, Animal Alliance of Canada, Albertan’s for the Ethical Treatment of Animals and Grasslands Naturalists, the Department of National Defense (DND) removed the horses. Despite promises to the contrary, most of the horses were sent to slaughter. A population of wild horses also exists on Sable Island, a small sand island approximately 112 miles off the coast of Nova Scotia. The Sable Island horses are the most famous of Canada’s wild horses and have been on the island for hundreds of years. Despite the fact that Alberta’s wild horse numbers are very low and spread out over an enormous range of largely fragmented and disturbed habitat, private interests and the Alberta government have long claimed that the horses are causing irreparable damage to natural ecosystems. No compelling scientific evidence has ever been produced to substantiate their damage claims. In fact, horses should be characterized as native wildlife and protected. 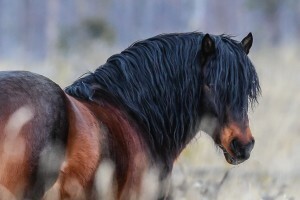 Not only did horses emerge in North America and co-evolve with the habitats they currently exist in, they can serve a range of beneficial ecological functions. Additionally, modern horses are genetically equivalent to the horses that existed in Alberta just a few thousand years ago, a blink of an eye in evolutionary time. When determining whether a species is native or not, typically several criteria are used. When these are applied to Alberta’s wild horses, there is no question that they should be considered wild and a part of Canada’s natural wildlife heritage. 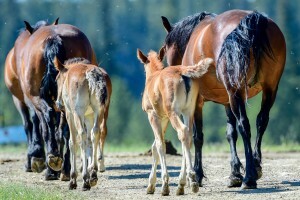 Please help Zoocheck’s wild horse campaign by contacting Alberta’s Premier Rachel Notley and the Alberta Minister of Environment and Parks Shannon Phillips and ask them to stop the round up of Alberta’s wild horses.